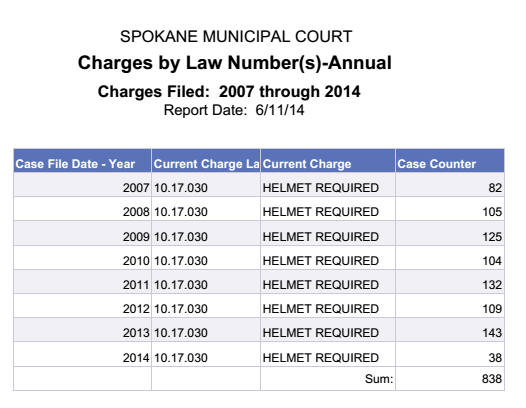 I have yet to meet someone who has received a citation for not wearing a bike helmet. I see people riding without helmets in the city all the time. So I asked the city how many citations have been written since the law took effect in 2007. It looks like they're lightening up a little for 2014.
that's good to know, as this is the time of year I am most tempted to ride without a helmet.